Mormon Wookiee: #98: The REAL Reason for Alma's Testimony. #98: The REAL Reason for Alma's Testimony. As I have mentioned once before, I love the story of Alma the Younger. In a nutshell, when Alma was a teenager in ancient America, he went about trying to destroy the Church, much to the chagrin of his father, Alma the Senior. Anyway, on one of Alma Jr.'s escapades, he and his friends were suddenly visited by an angel of the Lord who basically told them to knock it off or be damned (read the Book of Mormon for the full story--you'll totally dig it!). After the visit from the angel, Alma's life took a 180 degree turn as he went from "zero to hero, just like that!" 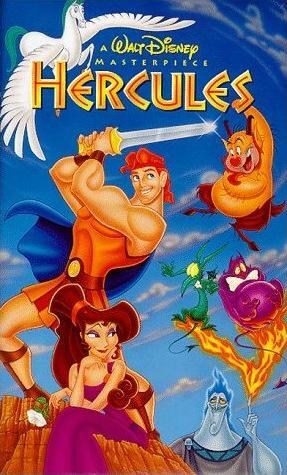 (thanks to Disney's "Hercules" for the catch phrase). Do ye not suppose that I know of these things myself? Behold, I testify unto you that I do know that these things whereof I have spoken are true. And how do ye suppose that I know of their surety? Behold, I say unto you they are made known unto me by the Holy Spirit of God. Behold, I have fasted and prayed many days that I might know these things of myself. And now I do know of myself that they are true; for the Lord God hath made them manifest unto me by his Holy Spirit; and this is the spirit of revelation which is in me (Alma 5:45-46). To me, this is very interesting. Alma could have chosen to say, "Hey folks, I gained a testimony that Christianity is true because I saw one of the Lord's angels. I experienced an awesome miracle that changed my life. If you want a testimony, this is the way to get it." But that is not what he says! Instead, he says that he REALLY gained his testimony by praying and fasting for many days. Did he see an angel? Indeed. But does that mean he was fully converted at that time? It does not. Alma knew that a true testimony is nurtured over a lifetime of daily obedience and faith in God. For me this is a good reminder that we can ALL gain (and maintain) a testimony by doing the little things that invite the companionship of the Holy Ghost into our lives--praying, fasting, studying the scriptures, and serving others. As cool as it would be to have a miraculous visit from an angel, it is not something that we need to experience in order to live a righteous life and have a sure testimony of the truthfulness of the gospel. If you don't believe me, just look at Laman and Lemuel, two other men in the Book of Mormon. Laman and Lemuel had many miraculous experiences (seeing an angel, hearing the voice of the Lord, being physically shocked by the power of God, etc. ), but ultimately they both rejected the truth and tried to kill their righteous younger brother Nephi because of his unwavering faith in God. This gives me hope that even if we never see an angel or hear the voice of the Lord during our mortal lives, as we commit to doing the little things, we will be able to gain an undeniable testimony through the power of the Holy Ghost--just like Alma the Younger. Tru dat, double tru! What you're saying really is the way to an unshakable testimony of the Savior. Thanks for sharing bro! #100: The Last of the Human Freedoms.